​Our fear of cancer stems from our lack of understanding it and our stressful thoughts. When you find out about the true causes of cancer, you'll lose your fear about it. ​You will also discover ways to stop worrying about cancer by working on your thoughts. 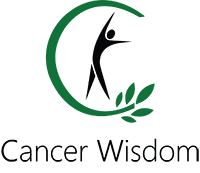 If you're afraid of your cancer or cancer recurrence, then this blog post is for you. Never again worry about cancer. Our fear of cancer stems from our lack of understanding it and our stressful thoughts. When you find out about the true causes of cancer, you'll lose your fear about it. You will also discover ways to stop worrying about cancer by working on your thoughts. If you're afraid of your cancer or a cancer recurrence, then this blog post is for you. ​Why Do We Fear Cancer? ​One reason we fear cancer is because we think that we have no control over it. We see ourselves as victims and that cancer only strikes the unlucky ones. We believe that cancer is a horrible disease and that you need to fight it.This mindset makes cancer a lot scarier then it needs to be.The medical industry tells us that the only way to treat cancer is cut, burn and poisoning. ​These treatments cause immense suffering.It is no wonder that we fear cancer when our only treatments don't cure cancer and may lead to death. Our ignorance about cancer makes us fearful. Hospitals use our fear to motivate us to do their treatments. Have you noticed that they want to treat tumors as soon as possible after the diagnosis? They know that if you wait too long before you treat cancer, the patients may postpone it.Pharmaceutical companies are more interested in the profits than helping out people. ​That is why they never teach us how to avoid cancer in the first place. According to them, cancer just happens, and there is nothing to do about it. Hospitals use fear to pressure cancer patients to start treatments right after diagnosis. So long as you are ignorant you're pharmaceutical companies puppet. Fear is a great motivator for people to take action. Big Pharma knows that, and that is their primary way to get new customers. You have to realize that our medical system is not built to cure diseases, but to treat symptoms. They earn more money by managing the symptoms rather than to create a cure.If you want to feel empowered, you need to take charge of your health. In this blog post, I'm going to explain ways to eliminate the fear of cancer and empower you. You'll learn that there is nothing to fear about cancer when you know that you're in control of your health. One of the most powerful ways to get rid of cancer fear is to educate yourself about cancer. And the other way is to analyze your stressful thoughts about it. In the first section of this blog post, I'm going to explain about the causes of cancer. After you read this part, you will realize that cancer is not a mistake and that you can fix it. In the second part of this blog post, I will explain how our thoughts generate fear. You will learn that cancer can't create your anxiety and that only your beliefs can do that. Let me explain the real causes of cancer. The truth will set you free! Dealing with cancer is like when you're new at a job. In the beginning, you don't know so much, and new challenges can become stressful. But when you have worked for the same company for years you know every ins and out. Things that were hard before is now a piece of cake. It is the same with cancer.In the beginning, it can be overwhelming when you don't know much about cancer. But when you finally understand how to be healthy it becomes second nature. You feel that you can handle cancer and reverse it and thus lose your fear.Before I became interested in alternative health, I was as scared about cancer as anybody else. I thought that cancer strikes anyone anytime and that you couldn't do anything about it. Every time I had a minor symptom I believed that it was cancer. I didn't know what cancer was, just that it caused death.My family had a history of cancer. My grandmother died of cancer and my grandfather had stomach cancer. I was afraid that I would be next in line.But my fear of cancer disappeared when I learned the truth about it. I was at my friend's house. On the table was a massive book about natural health. The name of the book was Timeless Secrets of Health And Rejuvenation by Andreas Moritz. I had nothing better to do so I decided to read it.Some chapters talked about heart disease, diabetes, and cancer.For the first time, I learned what cancer was and that there were underlying causes of it. This book changed my view of health.It was one of the biggest epiphanies that I experienced in my life. My fear of cancer disappeared. I knew that diseases didn't appear by chance. It was my dietary choices, emotional baggage, and toxins that influenced cancer growth.We can all decide what we put in our mouths and release our emotional stuff.The most powerful message I got from this book was that our body always wants to go back to homeostasis. Let me explain what this state is and why cancer is not a mistake by the body. Your body always wants to go back to homeostasis and doesn’t want to get sick.Every action your body takes is to reach a state of homeostasis. Homeostasis is the tendency to maintain a stable, constant internal environment.One way your body does that is by regulating your body temperature.If your core body temperature doesn't stay within 95 F(35 C) to 107 F(41.7 C), the results can be dangerous or even deadly. The body maintains homeostasis for many factors besides temperature. For instance, your pH level has to be in a specific range. If these values get too high or low, you can end up getting very sick. Maintaining homeostasis at each level is key to sustaining the body's function.New challenges push your biological systems balance points. For instance, when you exercise, your muscles increase heat production. Your body temperature rises. And similarly, when you drink a glass of fruit juice, your blood glucose goes up. Homeostasis depends on the ability of your body to detect and oppose these changes. Maintenance of homeostasis often involves negative feedback loops. These loops act to oppose the stimulus, or cue, that triggers them. For example, if your body temperature is too high, a negative feedback loop will serve to bring it back down to 98.6 F (37.0 C). Nerve cells in your skin detect the high temperature and relay it to the brain. The brain processes the information and activates the sweat glands. The sweat glands job is to oppose the stimulus by bringing the body temperature down.If you’re sitting in a cold room and freeze the brain trigger responses that help warm you up. The blood flow to your skin decreases, and you'll start shivering to generate more heat. All these processes happen automatically. If you get a cut, your body inflames the area to heal the wound and protect itself from further damage.Your body doesn't want to create diseases. Nor does it make mistakes. It is the most advanced invention there is. Cancer manifests in your body when there are imbalances in the body.Tumors exist because of toxins in our body. Cancer cells are cells deprived of oxygen and thus use glucose as an energy source. Your body creates cancer cells as it last resort to protect itself from the toxins in the body.If it didn't do that, you would be dead in an instance. Cancer is not a disease but a survival mechanism. Diseases are biological programs. Our stressful and toxic lifestyle is the real cause of our illnesses.Maintaining your health is like taking care of your car. If you give your car the right fuel and what it needs, it will run without a hitch. But if you don't maintain it and use the wrong fuel then it will start to malfunction. It is the same with our bodies.If we follow unhealthy habits, then the body will have problems maintaining homeostasis. Most of us don't know how to take care of our bodies.Cancer doesn't strike us like lightning.You created your disease, and you can reverse it! Some imbalances influence cancer growth. One of them is stress. When the body is in real danger, it activates the fight or flight response.The heart pumps blood faster, adrenaline releases and makes you run faster.All this is happening so that you can escape from danger and get to safety. When you are safe, the body will return to homeostasis.The heart is pumping at a lower rate; adrenaline lessen, and the body relaxes.When you are in real danger, the flight and flight response releases stress hormones in your body. Stress hormones can become toxic if prolonged. The dangerous situation often happens for a short burst of time. Because of that, the stress hormones don't destroy our health. The body, while intelligent, can’t discern a real situation from an imagined one. Similar sensations will happen in the body if you get chased by a bear or thinking about it.Thus your body releases stress hormones whether the situation is real or imagined. You can lie in a warm bed and be safe but worry about your finances.When we humans think about negative thoughts, it puts the body under constant stress. Stress will tear the body apart and create health problems. ​Our emotional problems can be behind 90% of our illnesses. I have written a blog post about how stress may cause cancer. You can read the article here. ​In this blog post, I talked about the incredible discoveries from Dr. Hamer. He found out that cancer manifests because of emotional trauma.Hamer found a connection between cancer and unresolved psychological or emotional conflicts. Every cancer disease originates with a painful, acute, dramatic and isolating shock.The distress happens simultaneously on the psyche, the brain, and the organ.Cancer patients have emotional wounds from the isolation in childhood. The most common hurts are rejection, abandonment, betrayal, humiliation, and injustice.They often had a complicated relationship with their parents which caused them suffering. Many cancer patients are angry and bitter because of it.Your body is pure energy. If you use a microscope to zoom into the cells, you will see energy vibrating at a specific frequency. When we feel anger and resentment, we distort the energy field of the body and manifest disease.The good news is that you can let go of your stress. If you create your anger, you can also reverse it. You're in the driver's seat, not your cancer. Other things that influence cancer growth is our diet. We are herbivores. Humans thrive when they eat a plant-based diet. Contrary to popular belief animal products are detrimental to our health.Meat contains too much protein, fat, and cholesterol for our bodies. We know that horses and cows thrive on eating grass. If we feed them meat, it causes havoc in their bodies. One of the reasons why there is mad cows disease is because we feed cows corn which is not their optimal food. If you buy a diesel car, do you fuel it with regular gas? No! The manufacturer designed the engine to run on diesel. If you use regular gas, the car will break down.Our bodies are the same. If you feed your body the right foods, it will make use of the food and feel great. But if you give it wrong things like animal products, oils, and processed food, it will start to fail. Meat is for carnivores like lions and cats. Their bodies need to digest meat.There are striking differences between carnivores and herbivores organs.Carnivores´ stomach is capable of holding a lot of food.The size of the stomach in a carnivore represents 60-70% of the total capacity of the digestive system. These animals kill on average once a week.A large stomach volume is helpful because it allows the animals to eat as much meat as possible at one time.They then can digest the food later while resting.Carnivores ability to secrete hydrochloric acid in the stomach is exceptional. They can keep their gastric pH down to around 1-2 even with food present.This is great for breaking down protein and the bacteria found in decaying flesh. Humans have a stomach acid with a Ph between 4-5 like other herbivores.Carnivores have a wide mouth opening in relation to their head size.This gives them advantages in catching, killing and cutting their prey into pieces. We humans can move our mouth side to side, dogs and other carnivores can’t do that.Our hands are perfect for grabbing and picking fruits and vegetables.We don’t have sharp claws to seize and hold down a prey. And most of us lack the instinct that drives us to chase and then kill animals and eat their flesh.If you examine human teeth, you can see that they are not built to eat meat.Compare them to lions or tigers, and you see a big difference. Lions have sharper canines needed for ripping apart their prey. Human's teeth are much smaller. Meat contains IGF-1 which is a growth hormone that increases your risk of cancer. Other dangers from animal flesh are HCA:s which develop when you cook meat.The best way to decrease your cancer risk is too eat a whole food high carb low-fat diet. The longest living people in the world eat a starch-based diet.They get 95% of their calories from plants and only 5% from animal products.Cancer can't survive in an alkaline state. Tumors only exist in a sick and acidic body. It is like ice that melts in the presence of heat. It's law. Cancer is no different.It will disappear when the body is alkaline. One of the best ways to turn your body more alkaline is to eat a healthy plant-based diet and remove toxins. You control what you eat. Do you want to feed your body junk or healthy foods? ​I have written several posts about the dangers of eating meat and dairy in these blog posts. Learn why you should avoid ​eating meat. Click here to read more. ​Other reasons for our cancer growth is heavy metals and pollutions. We live in a toxic world. Industries expose us to toxic heavy metals.The main threats to human health from heavy metals are from lead, cadmium, mercury, and arsenic. Heavy metals enter human tissues via air inhalation, diet, and manual handling.Every day we get poisoned by the car smog.Industrial waste leak heavy metals to our groundwater, lakes, streams, and rivers. One major way we get exposed to heavy metals is amalgam tooth fillings. They contain mercury which is the most toxic natural element on earth. So if you eliminate these sources, you decrease your cancer risk. You can read more about heavy metals in this blog article. ​Another way we can influence cancer growth is by not sleeping enough. Other ways that we increase our cancer risk is by not sleeping enough. Your body needs to rest to do its repair work.During the night your liver needs you to sleep to preserve energy for its crucial work. ​If you skip sleep, then the liver can’t receive enough blood to function. That prohibits it from cleansing the blood.Melatonin is a substance found in animals, plants, fungi, and bacteria. In humans and animals, melatonin secrets during darkness. Physiological functions such as sleep and blood pressure regulation depend on it.Low levels of melatonin in the blood increase the risk of cancer.If you always stay up late, you make your body sick. When your Iphone's battery is empty, you have to charge it. Well, your body is no different. Sleep is the best way to recharge the battery and boost your immune system. To learn more about the importance of sleep read the blog article I wrote earlier. ​Do you get enough sunshine? Find out why vitamin ​D can protect you from cancer. Another way to protect against cancer is to get enough vitamin d from the sun. Vitamin d is essential for our immune system and our health.If you sunbathe in with moderation, being in the sun is good for you and has many health benefits. ​Low vitamin D levels can cause fibromyalgia, rheumatoid arthritis, depression, and cancer. Other ways to protect yourself from cancer is by exercising and staying hydrated. I have written about the importance of exercising in this blog post. Also, learn more about the importance of staying hydrated here. I hope by reading this far that you realize that you are in charge of your health. This is the first step in letting go of your fear of cancer. So let me talk about the other thing that creates our fear about cancer, our thoughts. Our thoughts create our fear of cancer, not cancer itself. Cancer or external events are not the source of our fear, our thoughts are.Often we believe that the situation is the cause of our suffering, but it is not true. If cancer is the source of our fear then why don't we worry about it all the time? When you distract from your thoughts, the worry fades. You divert from them daily by watching movies or following your hobbies. ​A specific outcome would be best and make me (or others) happiest. ​Any outcome other than the best one would be worse and make me (or others) less happy. ​A specific outcome would be bad. ​Since we believe that our situations create our unwanted emotions, we try to change them. We spend the vast majority of our time, money and energy in life to change our circumstances. Our goal is to go from “not good enough” to “perfect.”If you manage to get anything in our life to match your definition of “perfect,” you experience happiness. Despite how it seems, this immediate joy is not created by the new circumstance. This happiness is the result of losing the thoughts that were behind your suffering.When you see the situation as “perfect,” there will be no more thoughts about how bad things are. Negative thoughts create our sadness, anger, and anxiety about a specific circumstance. Therefore, when these negative thoughts leave, we're happy. Happiness is what remains when there are no thoughts to create our suffering. This is the experience of the present moment.The moment you forget to worry about cancer you feel fine. Is it the cancer that causes your fear or your thoughts? Your thoughts. If cancer induced your fear, then you wouldn't be able to relax as long as it was inside you. But you don't worry about cancer every minute. Sometimes you forget to worry about it and feel relaxed. If cancer is the cause of your worry, then how can you still feel anxious about it when it's gone? When you worry about cancer recurrence, your body doesn't have cancer. But, you feel afraid anyway. This has to mean that your thoughts, not cancer is causing this distress.Suffering happens when you resist the present moment. When you worry about cancer, you imagine horrible things about it. But if you don't believe in those stories you won't suffer.If you didn't have cancer would that mean that you would not suffer anymore? No. You will still have the emotional baggage left. Two people can get the same cancer diagnosis and feel different about it. If cancer caused the suffering, then both would suffer. But it is our attitude about cancer that causes our pain. Most of us have a negative view about cancer. But if we challenge these thoughts we no longer fear cancer.If you want to stop worrying about cancer, you need to quit believing your thoughts that create these emotions. That’s it. You don’t need to fix yourself, change others, or improve your situation. Your thoughts in your mind create these feelings. It has nothing to do with you, your circumstances, or cancer. When we believe a thought, we think they are true. But, when we recognize that it is not true we stop believing in it. Once we disbelieve them, our emotion dissolves. Your body always wants to go back to homeostasis and doesn’t want to get sick. Every action your body takes is to reach a state of homeostasis. Our emotional problems can be behind 90% of our illnesses.Every cancer disease originates with a painful, acute, dramatic and isolating shock.The distress happens simultaneously on the psyche, the brain, and the organ. Humans thrive when they eat a plant-based diet. Contrary to popular belief animal products are detrimental to our health.Meat contains too much protein, fat, and cholesterol for our bodies. ​Heavy metal exposure cancer raise your risk of cancer.​ Amalgam tooth fillings contain mercury, which is the most toxic natural element on earth. ​We increase our cancer risk by not sleeping enough. Another way to protect against cancer is to get enough vitamin d from the sun. Vitamin d is essential for our immune system and our health. ​You can ​shield yourself from cancer ​by exercising and staying hydrated. Our thoughts create our anxiety not cancer. ​Knowledge is power. Read the articles I mentioned throughout this blog post and take action on what you'll learn. I've included the links in the resource section. The more you uncover about cancer, the more empowered you will feel. Another way to release your fear about cancer is to work on your stressful thoughts about it. I have written a How To Let Go Of Your ​Cancer Fear Workbook. In this workbook, you'll learn ​3 exercises you can do to release your stressful thoughts about cancer. I've also included the links to the various articles I mentioned in this blog post. Download this document here for free. Knowledge is power. Read the articles I mentioned throughout this blog post and take action on what you'll learn. The more you uncover about cancer, the more empowered you will feel. Another way to release your fear about cancer is to work on your stressful thoughts about it. I have written a How To Let Go Of Your Fear Of Cancer Workbook. In this workbook, you'll learn x exercises you can do to release your stressful thoughts about cancer. I've also included links to the various articles I mentioned in this blog post. ​Please leave a comment below and share this post on social media. One reason we fear cancer is because we think that we have no control over it. We see ourselves as victims and that cancer only strikes the unlucky ones. We believe that cancer is a horrible disease and that you need to fight it. This mindset makes cancer a lot scarier then it needs to be. The medical industry tells us that the only way to treat cancer is cut, burn and poisoning. These treatments cause immense suffering. It is no wonder that we fear cancer when our only treatments don't cure cancer and may lead to death. Our ignorance about cancer makes us fearful. Hospitals use our fear to motivate us to do their treatments. Have you noticed that they want to treat tumors as soon as possible after the diagnosis? They know that if you wait too long before you treat cancer, the patients may postpone it. Pharmaceutical companies are more interested in the profits than helping out people. That is why they never teach us how to avoid cancer in the first place. According to them, cancer just happens, and there is nothing to do about it. You have to realize that our medical system is not built to cure diseases, but to treat symptoms. They earn more money by managing the symptoms rather than to create a cure. If you want to feel empowered, you need to take charge of your health. Why educating yourself about cancer can release your fear about it? Things that were hard before is now a piece of cake. It is the same with cancer. In the beginning, it can be overwhelming when you don't know much about cancer. But when you finally understand how to be healthy it becomes second nature. You feel that you can handle cancer and reverse it and thus lose your fear. Before I became interested in alternative health, I was as scared about cancer as anybody else. I thought that cancer strikes anyone anytime and that you couldn't do anything about it. Every time I had a minor symptom I believed that it was cancer. I didn't know what cancer was, just that it caused death. My family had a history of cancer. My grandmother died of cancer and my grandfather had stomach cancer. I was afraid that I would be next in line. But my fear of cancer disappeared when I learned the truth about it. I was at my friend's house. On the table was a massive book about natural health. The name of the book was Timeless Secrets of Health And Rejuvenation by Andreas Moritz. I had nothing better to do so I decided to read it. Some chapters talked about heart disease, diabetes, and cancer. For the first time, I learned what cancer was and that there were underlying causes of it. This book changed my view of health. It was one of the biggest epiphanies that I experienced in my life. My fear of cancer disappeared. I knew that diseases didn't appear by chance. It was my dietary choices, emotional baggage, and toxins that influenced cancer growth. We can all decide what we put in our mouths and release our emotional stuff. The most powerful message I got from this book was that our body always wants to go back to homeostasis. Let me explain what this state is and why cancer is not a mistake by the body. Your body always wants to go back to homeostasis and doesn’t want to get sick. Every action your body takes is to reach a state of homeostasis. Homeostasis is the tendency to maintain a stable, constant internal environment. One way your body does that is by regulating your body temperature. If your core body temperature doesn't stay within 95 F∘(35 C∘) to 107 F ∘(41.7∘C), the results can be dangerous or even deadly. Maintaining homeostasis at each level is key to sustaining the body's function. New challenges push your biological systems balance points. For instance, when you exercise, your muscles increase heat production. Nerve cells in your skin detect the high temperature and relay it to the brain. The brain processes the information and activates the sweat glands. The sweat glands job is to oppose the stimulus by bringing the body temperature down. If you’re sitting in a cold room and freeze the brain trigger responses that help warm you up. *The blood flow to your skin decreases, and you'll start shivering to generate more heat. All these processes happen automatically. If you get a cut, your body inflames the area to heal the wound and protect itself from further damage. Your body doesn't want to create diseases. Nor does it make mistakes. It is the most advanced invention there is. Cancer manifests in your body when there are imbalances in the body. Tumors exist because of toxins in our body. Cancer cells are cells deprived of oxygen and thus use glucose as an energy source. Your body creates cancer cells as it last resort to protect itself from the toxins in the body. If it didn't do that, you would be dead in an instance. Cancer is not a disease but a survival mechanism. Diseases are biological programs. Our stressful and toxic lifestyle is the real cause of our illnesses. Maintaining your health is like taking care of your car. If you give your car the right fuel and what it needs, it will run without a hitch. But if you don't maintain it and use the wrong fuel then it will start to malfunction. It is the same with our bodies. If we follow unhealthy habits, then the body will have problems maintaining homeostasis. Most of us don't know how to take care of our bodies. Cancer doesn't strike us like lightning. You created your disease, and you can reverse it! When the body is in real danger, it activates the fight or flight response. The heart pumps blood faster, adrenaline releases and makes you run faster. All this is happening so that you can escape from danger and get to safety. When you are safe, the body will return to homeostasis. The heart is pumping at a lower rate; adrenaline lessen, and the body relaxes. When you are in real danger, the flight and flight response releases stress hormones in your body. Stress hormones can become toxic if prolonged. The dangerous situation often happens for a short burst of time. Because of that, the stress hormones don't destroy our health. The body, while intelligent, can’t discern a real situation from an imagined one. Similar sensations will happen in the body if you get chased by a bear or thinking about it. Thus your body releases stress hormones whether the situation is real or imagined. You can lie in a warm bed and be safe but worry about your finances. When we humans think about negative thoughts, it puts the body under constant stress. Stress will tear the body apart and create health problems. Stress is one of the major causes of diseases. Our emotional problems can be behind 90% of our illnesses. In this blog post, I talked about the incredible discoveries from Dr. Hamer. He found out that cancer manifests because of emotional trauma. Hamer found a connection between cancer and unresolved psychological or emotional conflicts. Every cancer disease originates with a painful, acute, dramatic and isolating shock. The distress happens simultaneously on the psyche, the brain, and the organ. Cancer patients have emotional wounds from the isolation in childhood. The most common hurts are rejection, abandonment, betrayal, humiliation, and injustice. *They often had a complicated relationship with their parents which caused suffering. Many cancer patients are angry and bitter because of it. Your body is pure energy. If you use a microscope to zoom into the cells, you will see energy vibrating at a specific frequency. When we feel anger and resentment, we distort the energy field of the body and manifest disease. The good news is that you can let go of your stress. If you create your anger, you can also reverse it. You're in the driver's seat, not your cancer. We are herbivores. Humans thrive when they eat a plant-based diet. Contrary to popular belief animal products are detrimental to our health. Meat contains too much protein, fat, and cholesterol for our bodies. We know that horses and cows thrive on eating grass. If we feed them meat, it causes havoc in their bodies. One of the reasons why there is mad cows disease is because we feed cows corn which is not their optimal food. If you buy a diesel car, do you fuel it with regular gas? No! The manufacturer designed the engine to run on diesel. If you use regular gas, the car will break down. Our bodies are the same. If you feed your body the right foods, it will make use of the food and feel great. But if you give it wrong things like animal products, oils, and processed food, it will start to fail. Meat is for carnivores like lions and cats. Their bodies need to digest meat. There are striking differences between carnivores and herbivores organs. Carnivores´ stomach is capable of holding a lot of food. The size of the stomach in a carnivore represents 60-70% of the total capacity of the digestive system. These animals kill on average once a week. A large stomach volume is helpful because it allows the animals to eat as much meat as possible at one time. They then can digest the food later while resting. Carnivores ability to secrete hydrochloric acid in the stomach is exceptional. They can keep their gastric pH down to around 1-2 even with food present. This is great for breaking down protein and the bacteria found in decaying flesh. Humans have a stomach acid with a Ph between 4-5 like other herbivores. Carnivores have a wide mouth opening in relation to their head size. This gives them advantages in catching, killing and cutting their prey into pieces. We humans can move our mouth side to side, dogs and other carnivores can’t do that. Our hands are perfect for grabbing and picking fruits and vegetables. We don’t have sharp claws to seize and hold down a prey. And most of us lack the instinct that drives us to chase and then kill animals and eat their flesh. If you examine human teeth, you can see that they are not built to eat meat. Compare them to lions or tigers, and you see a big difference. Lions have sharper canines needed for ripping apart their prey. Human's teeth are much smaller. Meat contains IGF-1 which is a growth hormone that increases your risk of cancer. Other dangers from animal flesh are HCA:s which develop when you cook meat. The best way to decrease your cancer risk is too eat a whole food high carb low-fat diet. The longest living people in the world eat a starch-based diet. They get 95% of their calories from plants and only 5% from animal products. Cancer can't survive in an alkaline state. Tumors only exist in a sick and acidic body. It is like ice that melts in the presence of heat. It's law. Cancer is no different. It will disappear when the body is alkaline. One of the best ways to turn your body more alkaline is to eat a healthy plant-based diet and remove toxins. You can join our 12 day Vegan cancer challenge to learn how to eat a vegan diet for cancer here. I have written several posts about the dangers of eating meat and dairy in these blog posts. Other reasons for our cancer growth is heavy metals and pollutions. We live in a toxic world. Industries expose us to toxic heavy metals. The main threats to human health from heavy metals are from lead, cadmium, mercury, and arsenic. Heavy metals enter human tissues via air inhalation, diet, and manual handling. Every day we get poisoned by the car smog. Industrial waste leak heavy metals to our groundwater, lakes, streams, and rivers. Other ways that we increase our cancer risk is by not sleeping enough. Your body needs to rest to do its repair work. During the night your liver needs you to sleep to preserve energy for its crucial work. If you skip sleep, then the liver can’t receive enough blood to function. That prohibits it from cleansing the blood. Melatonin is a substance found in animals, plants, fungi, and bacteria. In humans and animals, melatonin secrets during darkness. Physiological functions such as sleep and blood pressure regulation depend on it. Low levels of melatonin in the blood increase the risk of cancer. If you always stay up late, you make your body sick. When your Iphone's battery is empty, you have to charge it. Well, your body is no different. Sleep is the best way to recharge the battery and boost your immune system. If you sunbathe in with moderation, being in the sun is good for you and has many health benefits. Low vitamin D levels can cause fibromyalgia, rheumatoid arthritis, depression, and cancer. Cancer or external events are not the source of our fear, our thoughts are. Often we believe that the situation is the cause of our suffering, but it is not true. If cancer is the source of our fear then why don't we worry about it all the time? When you distract from your thoughts, the worry fades. You divert from them daily by watching movies or following your hobbies. Other ways to hide from them is by drinking alcohol or socializing. If you manage to get anything in our life to match your definition of “perfect,” you experience happiness. Despite how it seems, this immediate joy is not created by the new circumstance. This happiness is the result of losing the thoughts that were behind your suffering. When you see the situation as “perfect,” there will be no more thoughts about how bad things are. Negative thoughts create our sadness, anger, and anxiety about a specific circumstance. Therefore, when these negative thoughts leave, we're happy. Happiness is what remains when there are no thoughts to create our suffering. This is the experience of the present moment. The moment you forget to worry about cancer you feel fine. Is it the cancer that causes your fear or your thoughts? Your thoughts. If cancer is the cause of your worry, then how can you still feel anxious about it when it's gone? When you worry about cancer recurrence, your body doesn't have cancer. But, you feel afraid anyway. This has to mean that your thoughts, not cancer is causing this distress. Suffering happens when you resist the present moment. When you worry about cancer, you imagine horrible things about it. But if you don't believe in those stories you won't suffer. If you didn't have cancer would that mean that you would not suffer anymore? No. You will still have the emotional baggage left. Most of us have a negative view about cancer. But if we challenge these thoughts we no longer fear cancer. If you want to stop worrying about cancer, you need to quit believing your thoughts that create these emotions. That’s it. You don’t need to fix yourself, change others, or improve your situation. Your thoughts in your mind create these feelings. It has nothing to do with you, your circumstances, or cancer. For many people, cancer is a death sentence. When we fear death, we are afraid of losing our ego identity. If you are scared of death, then read my previous blog article here. Simon Persson is a holistic cancer blogger with a passion for natural health cures. When he is not blogging, he enjoys nature, cooking and learning about the latest gadgets on the market. Copyright 2019 by Cancer Wisdom.